The expansive glass from your sliding doors can collect dust and dirt. Wipe the exterior and interior glass surfaces to remove them. Use a soft, clean cloth and a mild, soapy water solution for this. 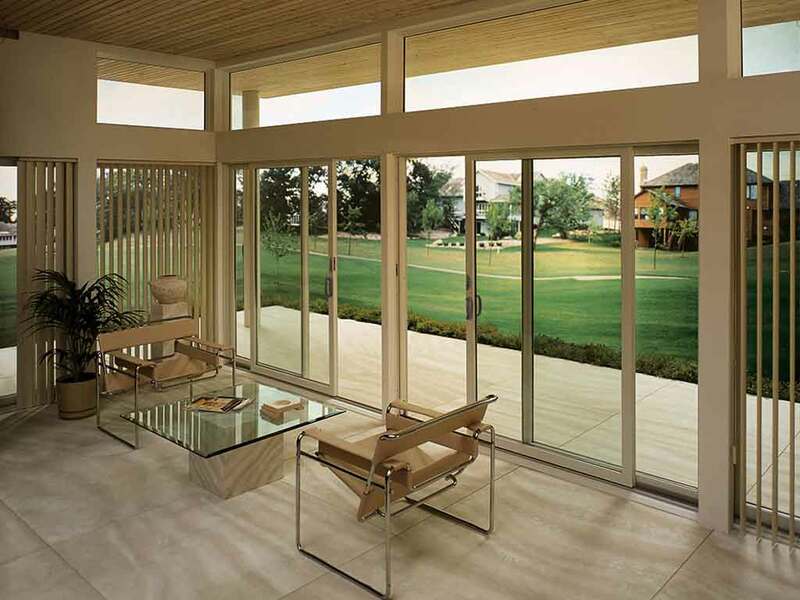 It is a relatively easy task knowing that patio doors from Renewal by Andersen have High-Performance™ Low-E4® glass. That’s because our spectrally selective glass coating does not block infrared and UV rays, but it also reduces water spotting up to 99%. When sunlight hits the glass, any moisture on the exterior part of the glass evaporates faster, drying the surface at a faster rate. Dust and dirt can also accumulate on the tracks, which is why it is important to clean these parts every once in a while. Open the door to begin and use your vacuum cleaner, paying close attention to any debris found on the tracks. Utilize the equipment’s attachment to reach into the corners. Any stuck dirt should be removed using a wire brush and a cleaning solution. Dry with a clean rag or a paper towel. Check your patio doors for any misalignment or difficulty in operation. Detecting these problems early on can help you make adjustments and necessary fixes right away. Inspections can be done once or twice a year. Schedule your consultation with Renewal by Andersen of Central Florida today. Call (407) 512-5504 for more information. You may also fill out our contact form to inform us about your needs. We serve Winter Park, FL, and surrounding areas in Florida.